The State of Texas is asking the U.S. State Department for help resolving a long-running dispute between Texas and Mexico over water from several rivers — a dispute made more urgent by the long drought. Mexico’s reluctance to deliver water to Texas under the terms of a decades-old treaty has prompted the state’s top environmental regulatory agency to enlist help from the U.S. State Department. In his plea to Assistant Secretary Roberta Jacobson, a Texas official also rebuked the U.S. branch of the International Boundary and Water Commission. 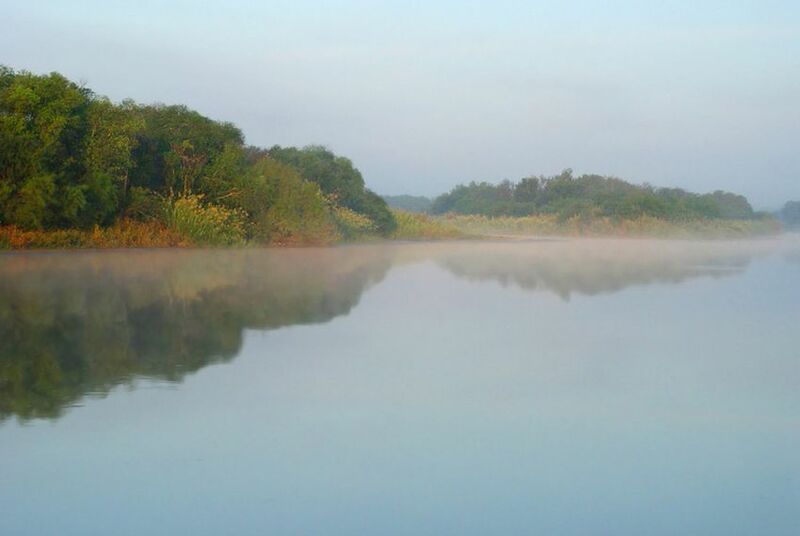 Texas Commission on Environmental Quality Commissioner Carlos Rubinstein said that agency “seems to demonstrate more diplomatic concern for Mexico than real water for Texas." The IBWC is charged with overseeing the water and boundary treaties. The Treaty of Feb. 3, 1944 — also called the “Treaty of the Utilization of Waters of the Colorado and Tijuana Rivers and of the Rio Grande” requires Mexico to deliver water to the U.S. from six tributaries that feed into the Rio Grande. In exchange, the U.S. delivers water from the Colorado River to Mexico. The Mexican government is required to release 1,750,000 acre-feet of water every five years. (An acre-foot is nearly 326,000 gallons of water.) Ideally, Mexico would deliver an average annual amount of 350,000 acre-feet. Under those terms, Mexico is currently behind by 471,000 acre-feet, according to the TCEQ. During the ongoing drought, the deficit has contributed to the dire water shortages in the Rio Grande Valley. Writing to Jacobson, who heads the State Department's Bureau of Western Hemisphere affairs, Rubinstein pointed out that during a prior conflict in 2005, she was instrumental in helping resolve that year’s water debt. “At that time I believed Mexico would honor the treaty and treat the United States as a partner and user of our joint resource, the Rio Grande,” he wrote. During the current cycle, however, the commissioner accuses the IBWC of taking a different tone. Meanwhile, the IBWC said it continues to work with its Mexican counterparts on a solution. State and federal lawmakers are not sitting idly by. State Rep. Eddie Lucio III, D-Brownsville, filed House Concurrent Resolution 55, a nonbinding resolution asking the U.S. State Department and the IBWC to urge Mexico to reconcile its debt. It passed out of both chambers and is awaiting Gov. Rick Perry’s signature. And earlier this month, U.S. Sen. John Cornyn, R-Texas, filed an amendment to a water resource measure that, if passed, would require, among other things, the secretary of state to submit quarterly reports describing what Mexico has done to meet the terms of the treaty.